Rassin to participate in Rotary Youth Leadership Seminar and Million Dollar Foundation Banquet celebrating more than $1M raised for global and local projects. Blacksburg, VA – Rotary International President Barry Rassin will visit Blacksburg, VA December 7 – Dec. 9, 2018 for the Rotary District 7570 Million Dollar Foundation Banquet and the Rotary Youth Leadership Academy. 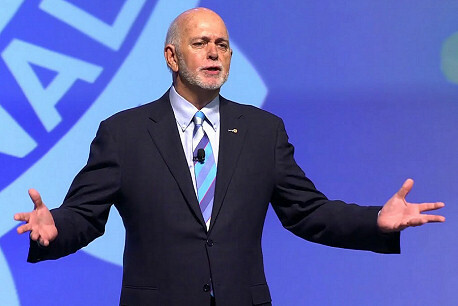 Barry Rassin, of the Rotary Club of East Nassau, New Providence, Bahamas, earned an MBA in health and hospital administration from the University of Florida and was the first fellow of the American College of Healthcare Executives in the Bahamas. He recently retired after 37 years as president of Doctors Hospital Health System, where he continues to serve as a Director. He is a lifetime member of the American Hospital Association and has served on several boards, including the Quality Council of the Bahamas, Health Education Council, and Employer’s Confederation. A Rotarian since 1980, Rassin has served Rotary as director and as vice chair of The Rotary Foundation Board of Trustees. He was an RI training leader and the aide to 2015-16 RI President K.R. Ravindran. Rassin received Rotary's highest honor, the Service Above Self Award, as well as other humanitarian awards for his work leading Rotary’s relief efforts in Haiti after the 2010 earthquake there. 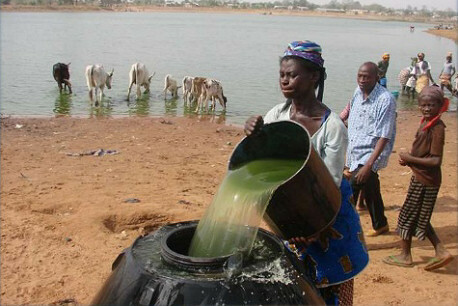 He and his wife, Esther, are Major Donors and Benefactors of The Rotary Foundation. President Rassin will participate in a multi-district Rotaract Summit on Saturday, December 8, 2018 from 10:00 AM – 2:00 PM in the Skelton Conference Center. Rotaract clubs bring together people ages 18-30 to exchange ideas with leaders in the community, develop leadership and professional skills, and have fun through service. In communities worldwide, Rotary and Rotaract members work side by side to take action through service. An estimated 50 attendees from Rotaract clubs in Virginia, North Carolina, South Carolina, Washington, DC, and West Virginia will participate in the event. President Rassin will participate in several activities with students attending the Rotary Youth Leadership Awards (RYLA) Seminar throughout the weekend. RYLA will take place at the Inn at Virginia Tech December 7 – 9, 2018. Rotary District 7570 sponsors RYLA annually. The seminar brings together high school juniors and seniors from schools throughout the Rotary 7570 District, which spans from Winchester, Virginia to Greenville, Tennessee for a weekend of fun and an opportunity to learn and practice leadership skills. Participants have the opportunity to hear outstanding speakers, participate in team activities, practice leadership skills and grow personally by sharing ideas and experiences with peers throughout the district. President Rassin will also be the keynote speaker at the Million Dollar Foundation Banquet, which will be held on Friday, December 7, 2018 at 7:00 PM at the Inn at Virginia Tech. 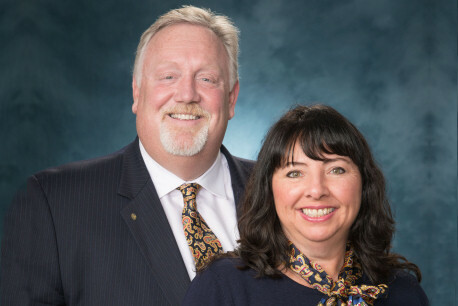 The Million Dollar Foundation Dinner will celebrate Rotary District 7570’s efforts to raise $1Million for the Rotary Foundation between December 7, 2017 – December 7, 2018, and honor those donors that contributed $10,000 or more in gifts and bequests to the Rotary Foundation during that time. This is the second year in a row that District 7570 has accomplished this fundraising goal. President Rassin will join Rotarians from throughout the District and beyond in celebrating this milestone and the Rotarians and friends that helped District 7570 reach this goal. 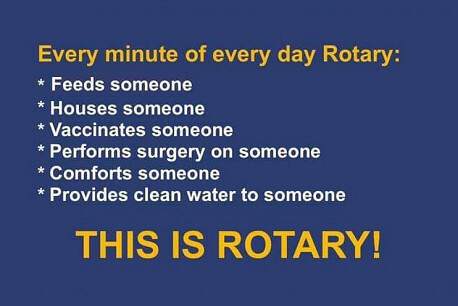 More information about the Rotary District 7570 is located on the district’s website at www.rotary7570.org. 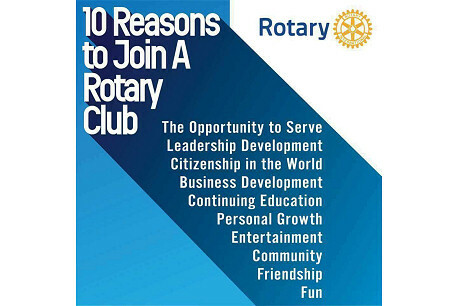 Founded in 1905, Rotary International is a service organization that provides service to others, promotes integrity, and advances world understanding, goodwill, and peace through its fellowship of business, professional, and community leaders. 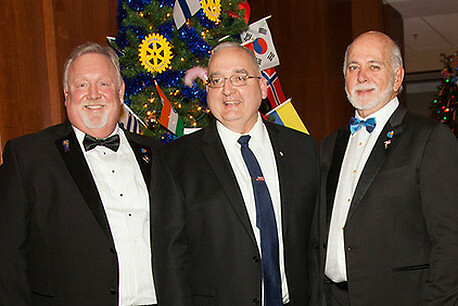 District 7570 of Rotary International consists of 82 Rotary Clubs in portions of Virginia and Tennessee.